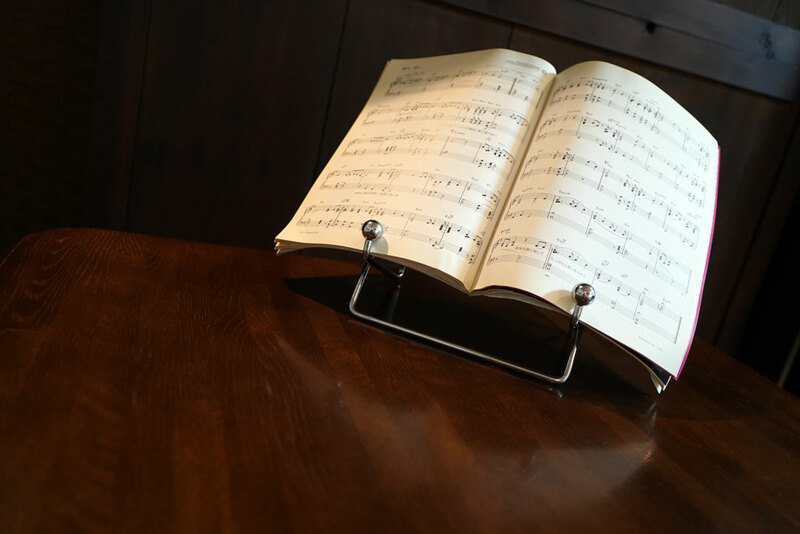 I’ve been using a useful book stand for years, which I bought at a 100 yen shop. The design is simple, so it never looks bad wherever I put it. Look! The table is a mess with books. Let’s make it tidy. It can be done in no time! See? I could make room for food and drink. Now I can have a cake and coffee while enjoy reading. 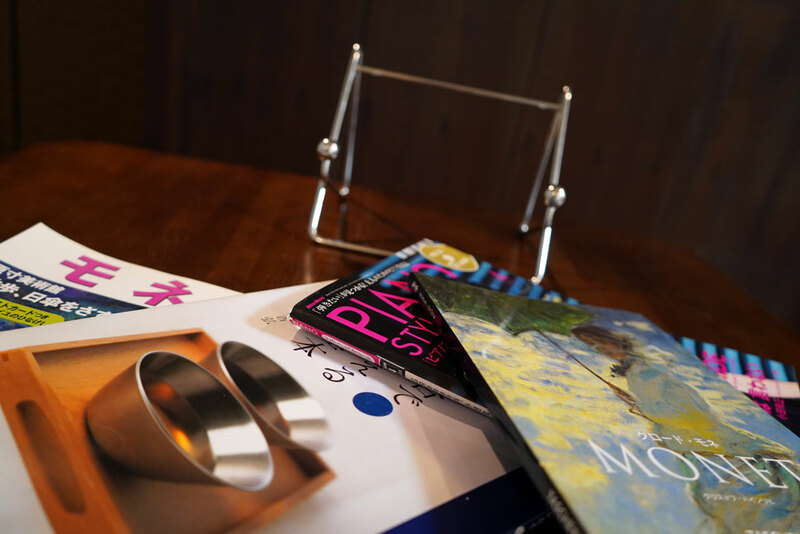 It’s fun to choose a book from the book stand, too! 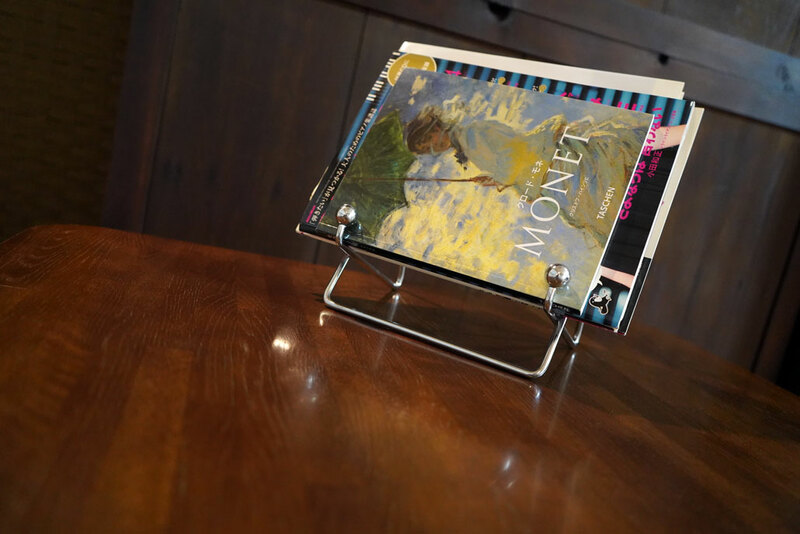 This book stand can be used for organizing a table like this, and moreover, it is really helpful when cooking. I don’t want to touch a cookbook while handling food. 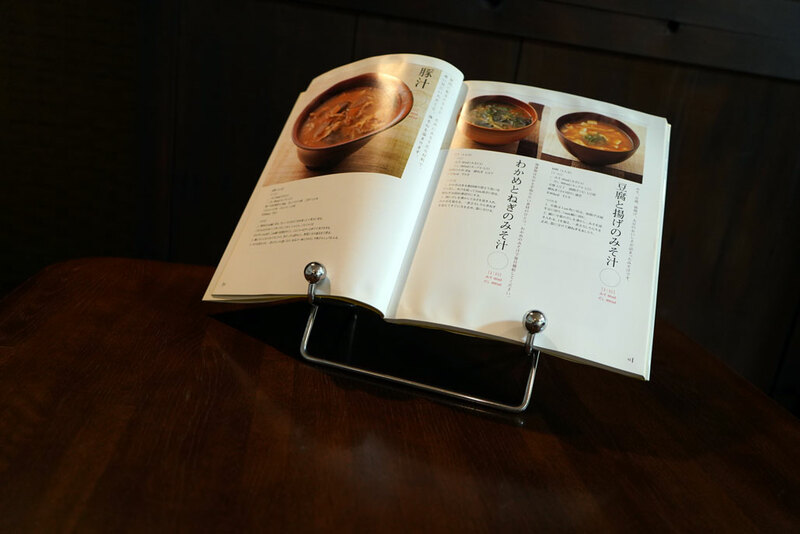 With this book stand, it is easy to read a recipe without touching the page. Also, I sometimes use it when I play the electronic keyboard. It helps a lot! 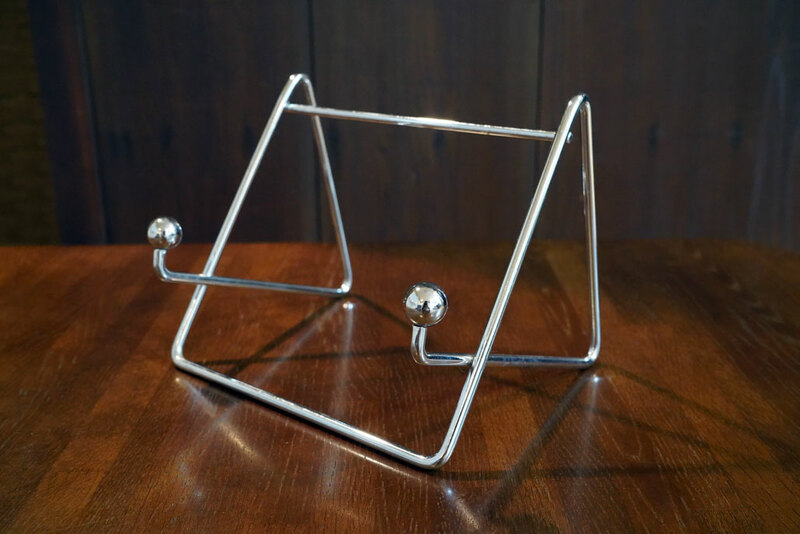 Although this book stand is only 100 yen, the quality is OK and it is strong too. Actually, it’s a little heavy, which I didn’t like very much at first. After using it for a long time, however, I think it is better than light one because it doesn’t move so much when my hand or finger accidentally hits it. I like it very much, so I will definitely keep using it.